Our house league registration is continuing - here is a quick update. The two T-Ball divisions have been combined into one, and while this division is full, the wait-list for children born in 2012 is short. We can longer accept any children born in 2013. There are still a few spaces in Sr. Rookie, but if you plan to register your child, you will be asked to coach in order to be accepted. Mosquito is full as is the wait-list. PeeWee is also full, but as of March 29th, there was only 1 child on the wait list. Bantam has several spots available. *The City of Toronto User Fees are part of your payment. North York Baseball is being billed for the use of each diamond at an hourly rate. Our own maintenance expenses continue to increase so we can ensure that we have safe playing facilities. Despite these always increasing costs we are pleased to offer fees with only small increases, our first increase since 2014. Have a 'call-up' list for players to be play in the league above when needed, especially during the summer. All games are played at Bond Park. T-ball runs from May 7th to August 20th. All other divisions run from the week of May 6th to the end of the summer with a Championship Day game for all teams on Saturday, September 7th. Each team plays one game per week. If you register 2 children from the same family there is a discount of $20 for the second child. For three or more children there will be a further discount of $90 for each additional child. You claim the discount by selecting it when registering the 2nd or 3rd child and then you should calculate your total when making your payment. FOR THE FIRST CHILD YOU MUST PAY THE FULL FEE. If you wish to register a child born in 2014 please contact us at registration@nyba.ca for instructions. There are a small number of spaces left. Registration cannot be done on-line. We remind you that from the Rookie level up we will not likely place your child on a team with more than 1 requested friend (sibling of the same age not included). Please limit your requests accordingly. Registration is managed according to your child's birth year. Children born in 2013 will be placed in Tier 1 of T-ball which focuses on beginning skills. Tier 2, for children born in 2012, will provide for children as they are ready to progress. In the same way, children born in 2011 will be placed in Junior Rookie and those born in 2010 in Senior Rookie. Because the two Rookie divisions hold games on different nights you may wish a transfer between the two due to conflicts with other activities or if your child was successful ahead of his/her age group last year. In order to transfer between the two Rookie divisions you must e-mail the registrar after registration with your request. Transfers between rookie divisions will be limited in number and accepted only if there is space and presently we cannot move a Senior Rookie aged child to Junior Rookie. Any other request for a change in division must be discussed with the registrar before the registration is completed. AGAIN THIS YEAR: During the season we plan to offer opportunities for Mosquito players to improve their skills. Details will be sent to parents when plans are finalized. We also hope to provide some practice times on weekends for the Rookie divisions. Coaches of teams in any division rookie and up may try to hold practices if possible. There are still a few Rep & Select teams looking for players. Click here for information. 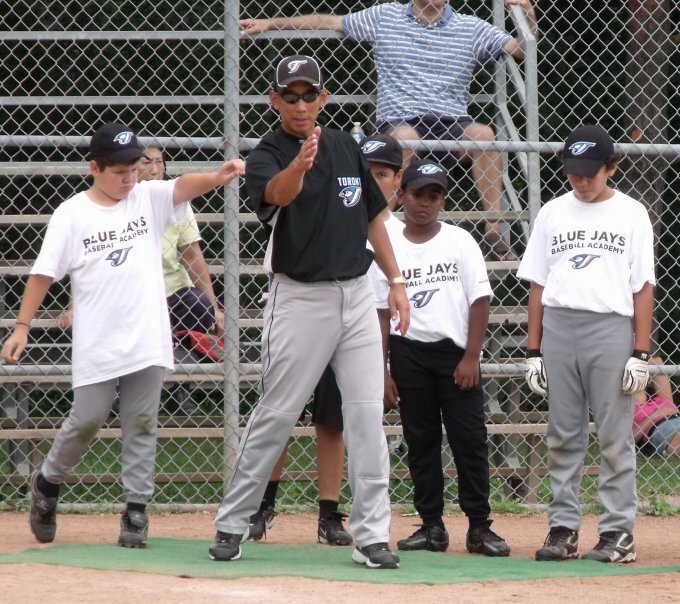 The North York Baseball Association can only be successful if we have enough volunteers so please let us know how you can help when you complete the registration forms. We can only accept registrations for spaces we have on teams and we can only have as many teams if we have enough coaches. Please e-mail us at mail@nyba.ca to have any questions about this answered. NEW PLAYERS: When you start the registration process enter your email address and create a password to create a profile. Once the profile is created you can start the registration process. RETURNING PLAYERS: Your contact information has already been entered into the system. You can access your profile by entering your email address and initiating a password by clicking on 'Forgot My Password'. Please update your profile before registering to ensure we have the most correct contact information for your family. e-mail us at registration@nyba.ca to find out the information you require. * To register a child born in 2014, email registration@nyba.cato be placed on a waiting list.